← When is it Time to Call the Plumber? 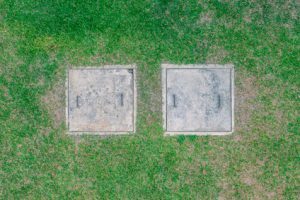 If you have grown up living in a home with a septic system, you are probably comfortable with the idea of needing to have your system pumped every 3-5 years. However, if you are new to the septic system, having your tank pumped can be a source of anxiety if you are unsure of what to expect. The good news is that it isn’t as bad as you may be thinking so its best not to keep putting it off. If you are following a regularly scheduled maintenance plan from your Melbourne, FL plumber, you have nothing to worry about. Once you have made an appointment to have a professional come out and assess your system, they will be able to locate the buried tank in your yard and where the access lids are. They can then quote you a more accurate price based on the size of your tank and how full they believe it to be. The fuller the tank, the more they need to pump out of it and the pricier it gets. Companies generally charge to remove sludge by the foot after the first 12-18 inches. Tanks should be pumped when the sludge is no more than 50% of the tank. It is best to call a few Melbourne, FL area companies to get the best quote. A septic system works by a flora of bacteria breaking down all solid waste material into a sludge that settles into the bottom of the tank. Water, known as grey water, passes on through to the drain field. The sludge is what needs to be cleaned out so that it does not clog up the intake or output pipes and cause a backup in your home. The professional will use a large flexible pipe to pump out the sludge. They will spray down the sides of the tank and then replace the filter that prevents the solids from entering the drain field. They will add a solution of healthy bacteria back into the empty tank and then seal up the access lids. The entire process takes around 2 hours. You can expect to have a look at your opened septic tank. The smell is quite noticeable, but a good professional will walk you through their assessment so you can see it for yourself. You can expect to purchase some grass seed and straw to cover back up the spots where the tank was accessed. It generally takes a week or two for the tank to fill back up and the process starts all over again.